I try to capture the yellow dome of Bogor Presidential Palace (Bogor, West Java, Indonesia). It's a pity that I failed to make a good photo. 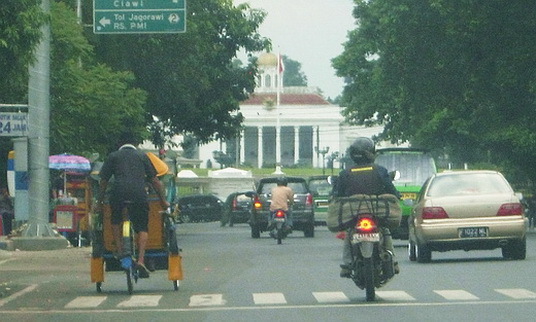 I decide to still share it here, as you can also see the yellow 'becak' (tricycle) there.